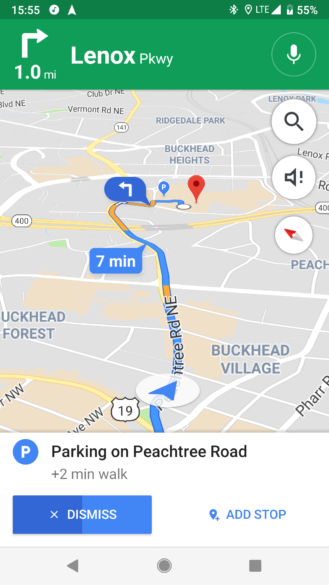 A notification in Maps offering to add a stop for Parking on your way to the destination. 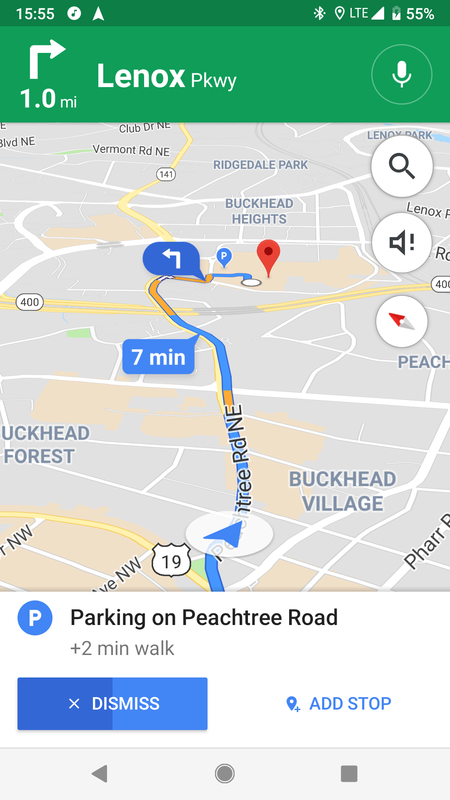 The notifications appear mid-trip, offering to add a stop to your route for recommended parking locations before you reach your destination. Like most Maps notifications, if you don't act on it within a few seconds, it is automatically dismissed. So far as we can tell, there's no manual way to enable or disable these notifications, much to the apparent chagrin of Lyft drivers. 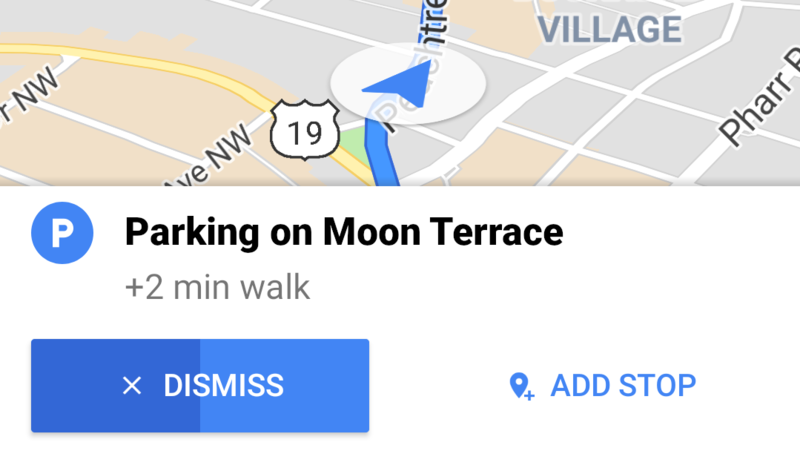 There isn't a toggle for it anywhere in Google Maps' Settings -> Notifications sections. Some of us here at AP noticed the feature a couple of times over the last few months, but at the time we assumed it was something we'd already covered. Taking a look around, it seems to have slipped under everyone's radar in its silent deployment. We aren't even 100% sure everyone has the feature; it's possible that it is still in testing. Either way, it's A Thing, and now you'll recognize it if you see it.